When it comes to roti or poori I always stick to the traditional methods. I am yet to explore different varieties of roti's and poori's. I have been growing methi in a pot and decided to make methi poori with it. I just searched on the net and came with a recipe that was a mix of a lot of recipes. 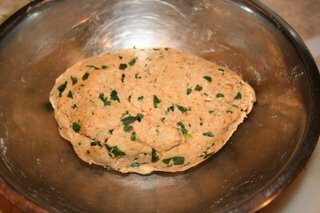 It did come out well and I will be making this dish again but next time I am thinking of grinding the methi leaves and adding it to the flour mix to make the dough. Mix all the above ingredients except oil with enough water to a chapathi dough consistency. Wrap with a wet towel and let it rest for 30min. 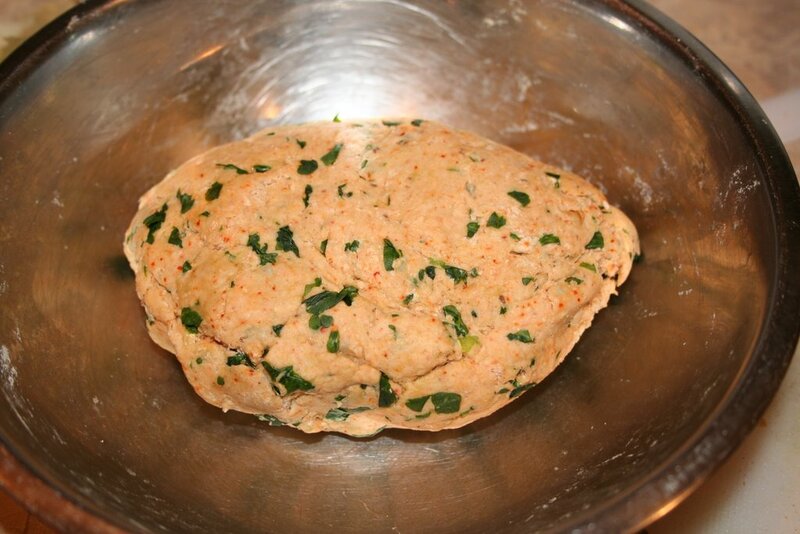 Then make small balls out of it, roll it into 4-5 inch wide circles and deep fry in oil till it turns golden brown. 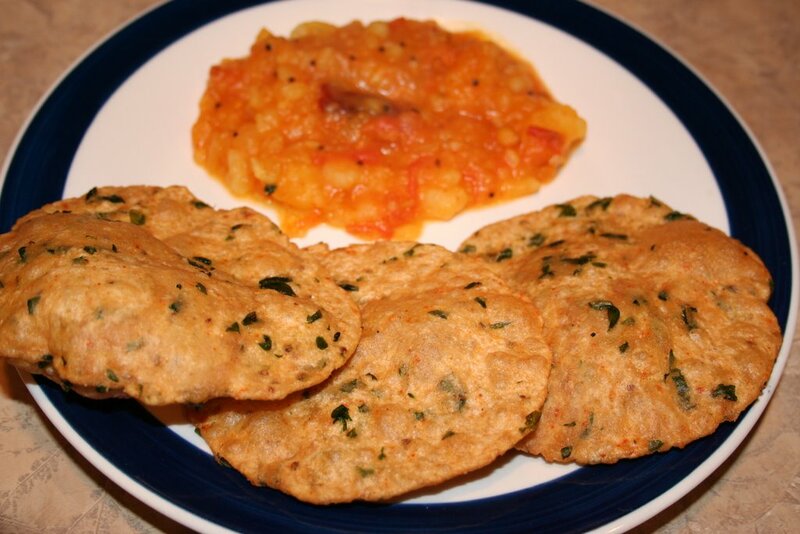 Serve with channa masala or potato masala. It can also be served with yogurt and pickle. Hi Deepz,looks yummy.Homegrown Methi! !I envy you.I love Pooris in any shape or form.Thanks. Thanks Asha, I will be looking forward for the roti recipes. Also I will be trying your naan recipe soon. Sandeepa: I tried it for the first time and it did taste good. Also one more way to add greens to your diet. Sukanya: Thanks and do try them. They are tasty. Looks very good deepz. I love methi parathas, so I am sure I would love this too. btw, I think grinding the methi would give a bitter taste to this dish. So I will try your method as it is. Thanks Shilpa. 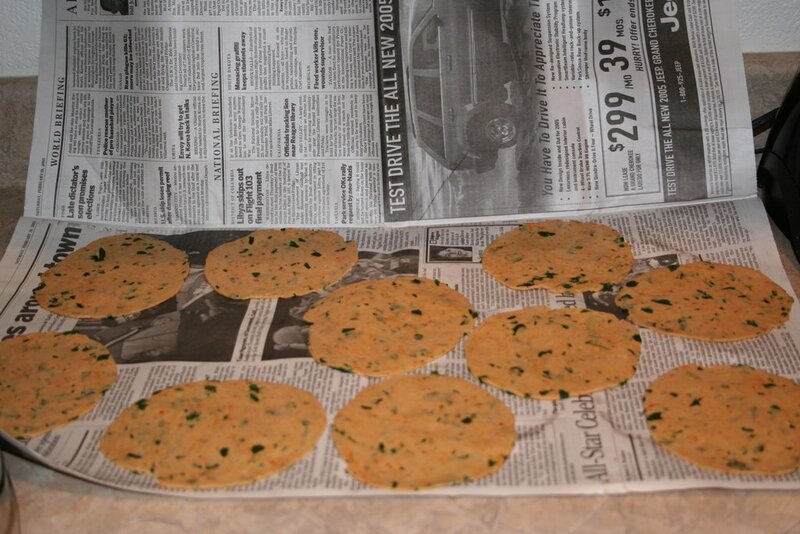 Ive heard most people grind the methi for the puri. I guess if the correct quantity is used it should'nt be bitter. Will let you know once I try it. 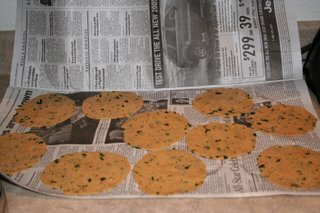 I usually make methi rotis. but methi puri sounds yummy. the methi must be bringing out the aroma when fried. Yes Sharmi it tastes and smells good. THANKZ YR I REALLY WRKD OUT....GUD U KEEP ON TRYIN N I'LL KEEP ON MAKIN DOSE 8 HOME N NJOY EATIN....GUD KEEP IT UP.